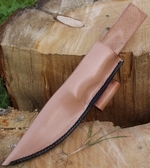 This sheath, although originally designed for my Bushcraft Beginner knife will safely house any 9 inch knife providing the handle of the knife is not larger than 30mm x 20mm. Finished in light brown with a shine finish and black detail. 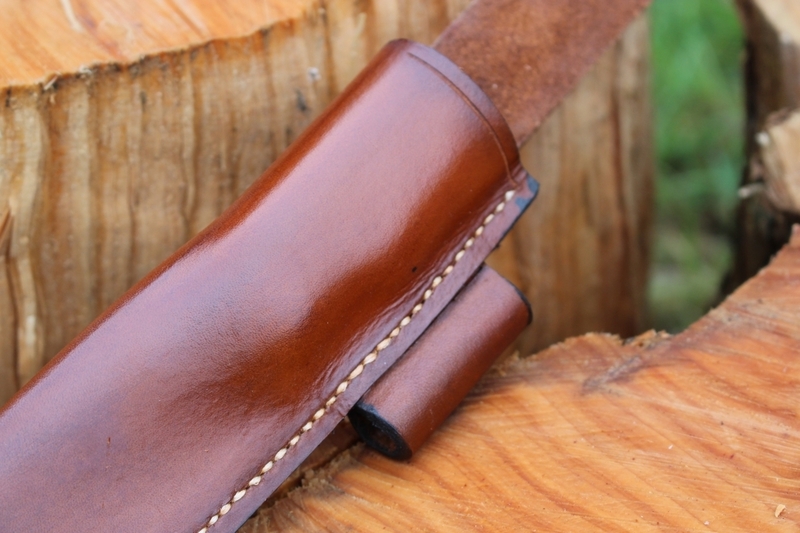 Also available in Black, Dark Brown and Natural leather!